The 2019 Honda CR-V dimensions help make life easier inside and out, by providing a roomy cabin to pack all your gear while also helping you slide into a Jackson parking space with ease. Learn more about how this capable crossover does more for you. Outside, the stylish and colorful CR-V helps you go the distance, whether you’re exploring the open roads beyond Clinton or trying to parallel park in downtown Madison. Flexible and capable, the Honda CR-V is packed with safety and performance features that do not disappoint. Curious about how the CR-V LX compares to the EX? 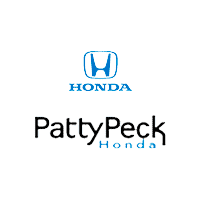 Visit us today at Patty Peck Honda to find the right CR-V trim level for you, and drive away happy in an SUV that checks off all your boxes! 0 comment(s) so far on What are the 2019 Honda CR-V Dimensions?